Because Hey! It’s digital, therefore it must be better! 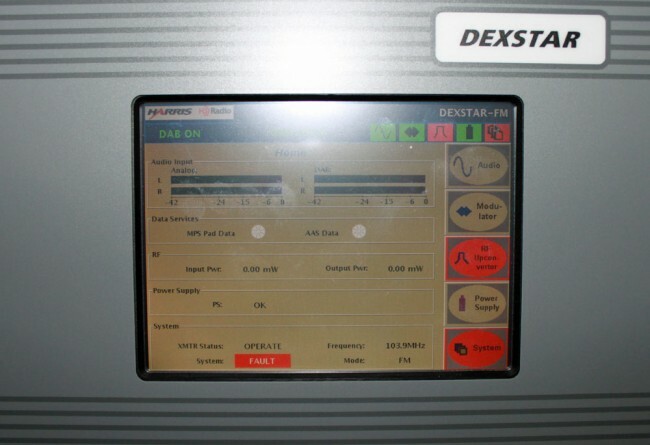 I found this faulted HD Radio exciter on my weekly site visit for WFAS-FM. I have no idea how long it was in the fault condition. The radio station received zero calls about the HD Radio being off. When I looked at the fault log, it stated that it was unable to ping something or another. However, the reason for the exciter shutting down was… wait for it… the fault log was full. I rebooted the unit, it came up without problems and there appears to be no lingering communications issues. At least these things weren’t terribly expensive… Oh no, wait, they were. Well, at least people are getting enjoyment from their wonderful sounding digital radio, except, no: People don’t seem to know about it, or care. So, the radio stations must be making tons of money on this thing, right? What? No? I am confused, why are we doing this again? I’ve got one like that, but there’s never anything in the viewable fault log except four lines: when it was last started, the fact that it can’t sync the GPS (no antenna), then the same two lines again. Yet the stupid “FAULT” indicator is on and the thing has taken itself off-line. Luckily the transmitter just reverts to analog operation. Is it really worth having digital for a 1kw ESPN-affiliated sports/talk station? It appears that Harris was in a rush, just like iBiquity, to push this IBOC junk to market. Maybe, it is good that Harris exited the terrestrial radio business, as they were an investor in iNiquity, also. It also appears that a number of IBOC stations are abandoning their transmissions, as parts break. Struble must be a great showman. I’m sick of people telling me “digital is better”. We work with digital and for certain applications it cannot be beat – we stream across the Internet, we distribute audio internally and for OBs, STLs, etc. we use digital. For the right application, it cannot be beat. On other occasions we use analogue for distribution. It’s a case of using the right tools for the right job. For broadcast, analogue FM is still our main medium. It works well, it’s cost effective, we control the complete air chain, for digital, in the UK, we’d need to outsource to a third party for digital transmission. Why would we incur significantly higher costs, for a lower grade signal and poorer coverage per watt? Progress? B*llocks! @Steve, you are exactly right. There are many good uses for digital audio, to date, terrestrial broadcasting is not one of them. All of the DAB systems that I have seen so far, do not significantly improve either the signal or audio quality and as you pointed out, in some cases degrade it. @Bob/Greg: Harris has a long history of releasing not quite fully developed products and allowing their customers to be beta testers. The entire MW series AM transmitters were like this. I think the entire thing can be answered with one comment: if the listeners don’t complain (wait, there are listeners with HD?) then why bother? I can’t imagine why any station would run up their electric bill to run this gear for the single digit amount of listeners (if that). Obviously some of the major corporate groups are in bed with iBiquity but you have to wonder, even the station themselves didn’t notice the thing not running. What does that say? I suppose if these broadcasters want to keep paying iBiquity their licensing fee for zero listeners it’s their business. I would rather them put their money into quality programming on their analog channel. This whole HD radio thing is the Emperor’s New Clothes ON STEROIDS! Who managed to hoodwink all these beancounters in to ythrowing THOUSANDS of dollars into this sinkhole? That person needs some kind of award, because it’s amazing! Those same beancounters are doing everything they can to disembowel Radio as it once was, firing everyone and leaving only an empty shell, plugged into a satellite dish… those same beancounters, when presented with the HD concept, just suddenly opened their wallets WIDE?! What gives? In East Tennessee where I live, there were most likely more SCA listeners at home than there currently are HD FM or AM listeners. Which is more important to cater to, 4 listeners or at least 40,000 analog FM listeners. Paul, your nickname for this Harris nightmare of a HD exciter is spot on. DeathStar is most accurate in real world use. 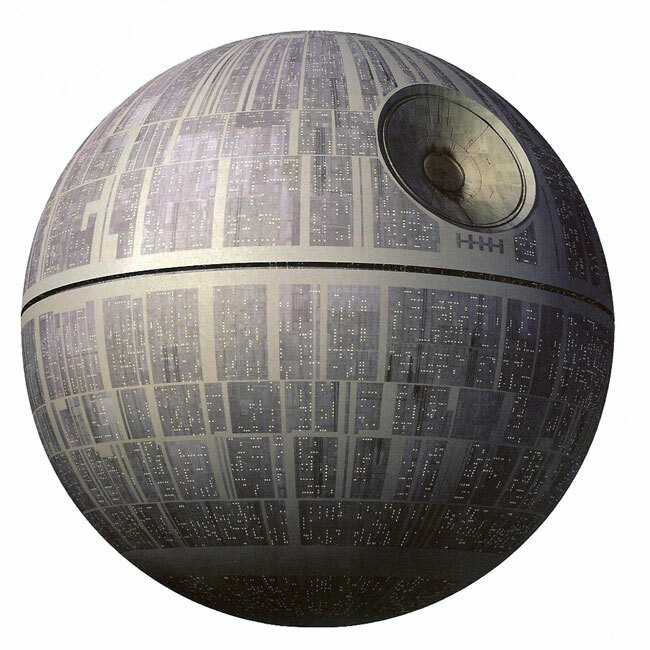 The DeathStar is one of the many reasons why the H word has become profanity to me. Kent, in light of the sale of Harris Broadcast to a private equity firm, I am not sure how long brand H will be with us. I look for the Gates Radio Company to be making new transmitters soon. And the name has heritage. AAAAHAHAHA THANKS, I just did a spit take at this one. I’ve got the Flexstar and its Highly Decrepit mode has been annoying me so much I’ve just had it in analog for a couple weeks now.